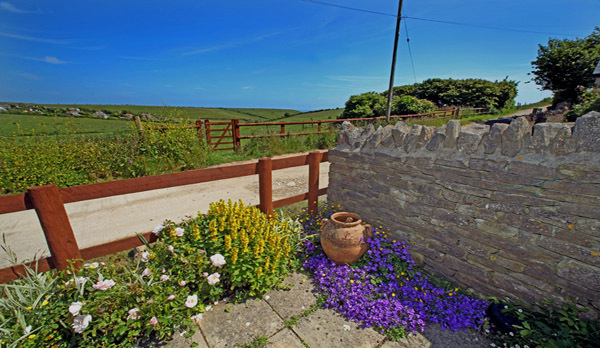 Winspit View - beautiful holiday cottage to rent in Worth Matravers. We are delighted to be able to present this wonderful holiday home, ideal for your family with comfortable, modern accommodation. Located in the much sought after village of Worth Matravers, this beautiful family home, built in the 1990s, offers a high standard of accommodation with beautiful wooden floors and stylish furniture. 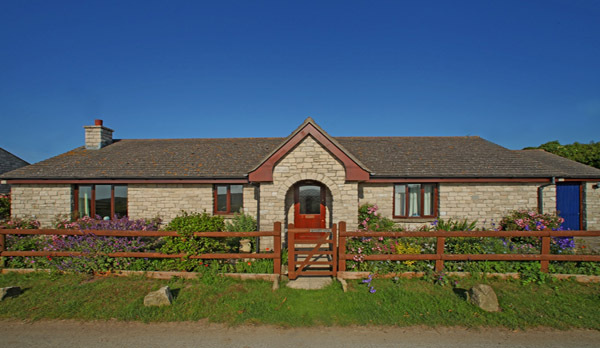 The bungalow is located on the edge of the village, in a rural idyll with fantastic views across open farmland to Winspit and the sea. 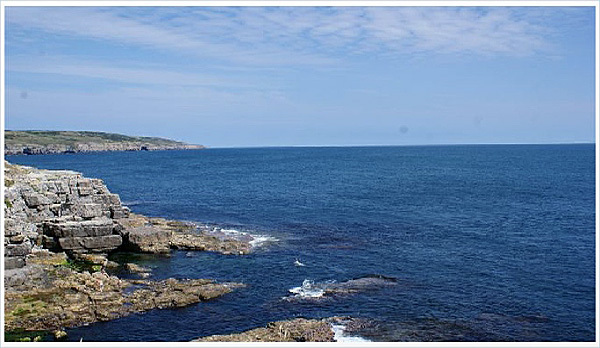 The area is renowned for a dramatic coastline, with its famous caves and scenes used in Doctor Who's Darlek adventures. Located off a short, level farm track, Winspit View has off road parking for 3 vehicles, with a chain across the drive, which must be replaced when arriving or leaving the driveway. The passing cows will take advantage of the garden plants if allowed!! 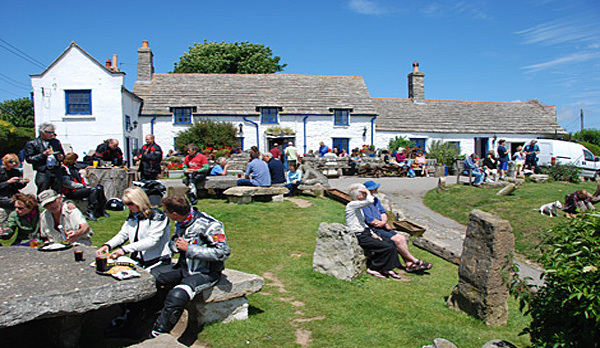 Worth Matravers is located on the Isle of Purbeck. Only two hours from London, this destination is popular with those who enjoy the English Countryside, walking and the seaside. Ideally located at the centre of a network of footpaths that lead to the Jurassic coast or the pretty village of Corfe Castle. The village is a short drive from the small seaside town of Swanage and the Saxon walled town of Wareham. 3 Bedrooms. G/Floor King (ensuite), Double & Twin (adult size). Lounge - TV, DVD/Blue Ray player, Wi-Fi, Wood burner, dining table for 6. Kitchen - Electric oven, electric hob, washing machine, fridge/freezer compartment, microwave, dishwasher. Bathrooms. 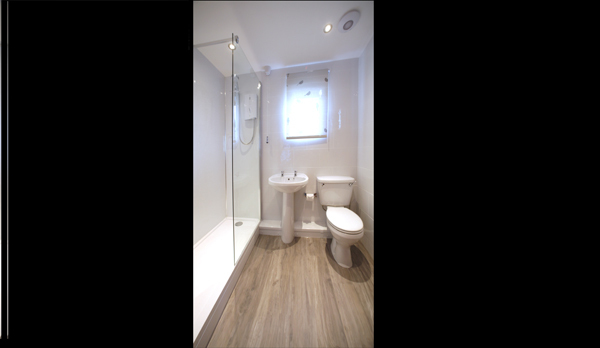 2 x G/Floor bathrooms (1 shower room, 1 full suite with electric shower over). Patio area with garden furniture. Parking [3 off road]. Oil fired central heating. Linen and towels included for weekly and short break bookings. Travel cot (no linen) and highchair. One dog welcome. 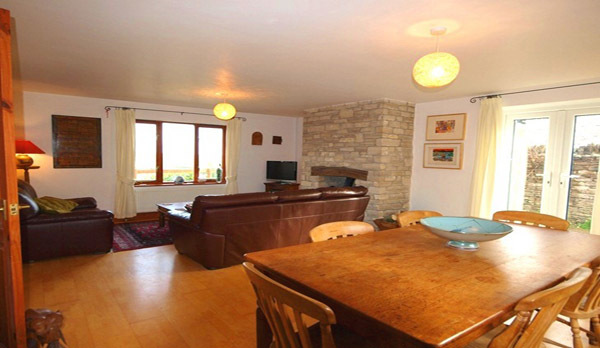 Winspit View is a lovely cottage which was extremely clean, very spacious and well equipped. It is in a lovely position overlooking a valley with a glimpse of the sea, plenty of walks from the cottage. It is also positioned ideally for exploring Purbeck area. Comfortable cottage with lovely views. We found the cottage clean and well equipped. Hoping to go back again. Lovely space, personalised to make you feel at home! 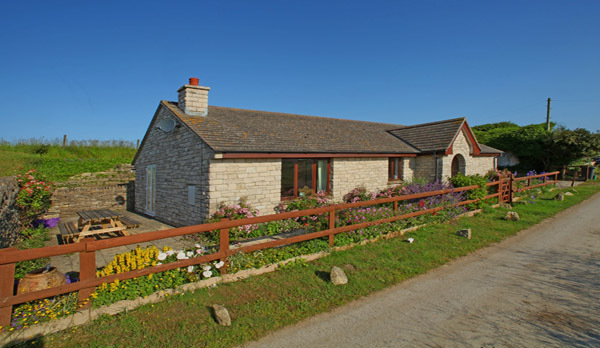 Lovely cottage in an accessible location for Purbeck and beyond. 7 nights wasn’t enough! Very clean on arrival, and thoughtful touches of milk, tea, biscuits and wine much appreciated. We took my Mum who has mobility difficulties. She managed as a bungalow but a grab handle in the ensuite shower room would have made a big differenceto her. Didn’t realise the small field opposite was part of the cottage until day 3.....at least I hope it was. And like other reviews, a small bit of work on the fencing could improve security for dogs getting out (and in!!) Overall, couldn’t fault it. Beautiful home in beautiful position. Delightfully peaceful setting with views of the rolling countryside and distant sea. Good area for walkers. Winspit View is a lovely, well appointed home. The welcome pack was faultless as was almost everything about the place. (only exception was the lamp in master bedroom that had no switch so had to be turned on/off at socket.- not very convenient) I have no hesitation in recommending this property to anyone who wants to get away from it all and enjoy the Dorset countryside.and coastal paths. 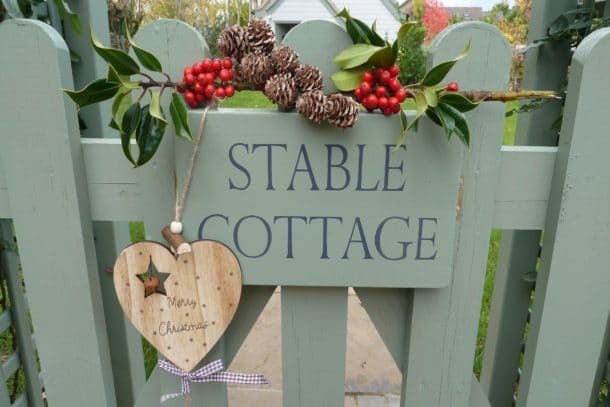 Delightful holiday cottage, beautifully decorated, and in the best location for a relaxing holiday in the countryside. We all enjoyed the peace and tranquility of the location and wonderful views. 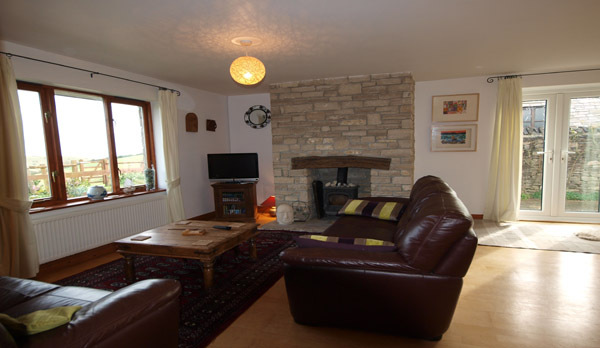 Excellent cottage with superb facilities and very well resourced. 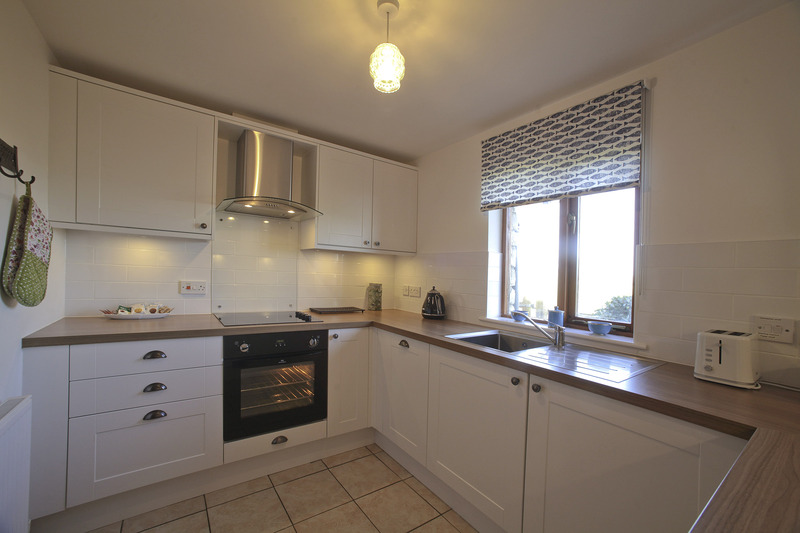 Spacious and clean with lovely views and an enviable location - brilliant for walks and local amenities. Great peaceful spot, well appointed accommodation and immaculately clean on arrival. This was our second yr in a row and we will certainly be returning at some point in the future. Two yr old loved the farm and the playground, and adults love the Square and Compasses and walk down to the sea. Only one, very minor quibble, would be a lack of replacement light bulbs, everything else was spot on. Great location, accommodation modern inside and had everything we needed. We only had a three night stay, but we were really pleased with this cottage. It was clean, modern and the facilities were ideal. Location was great. Many thanks. This lovely holiday home is in a beautiful location with views down to the sea. 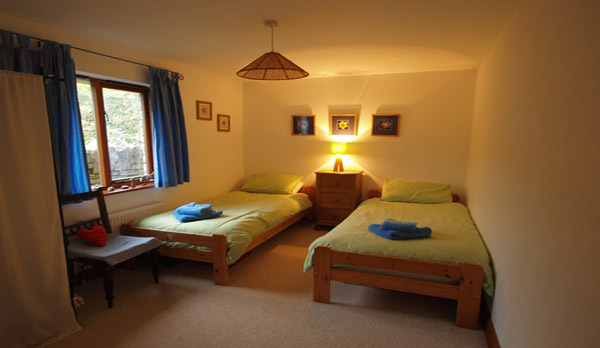 The cottage has everything needed to make the stay comfortable and enjoyable. It also allows dogs which is a huge bonus - my only suggestion is the garden is not fully enclosed which means with the doors open on a lovely day the dogs can wander out through the fence. Other than that it is perfect! Modern bungalow, quiet location - wonderful. 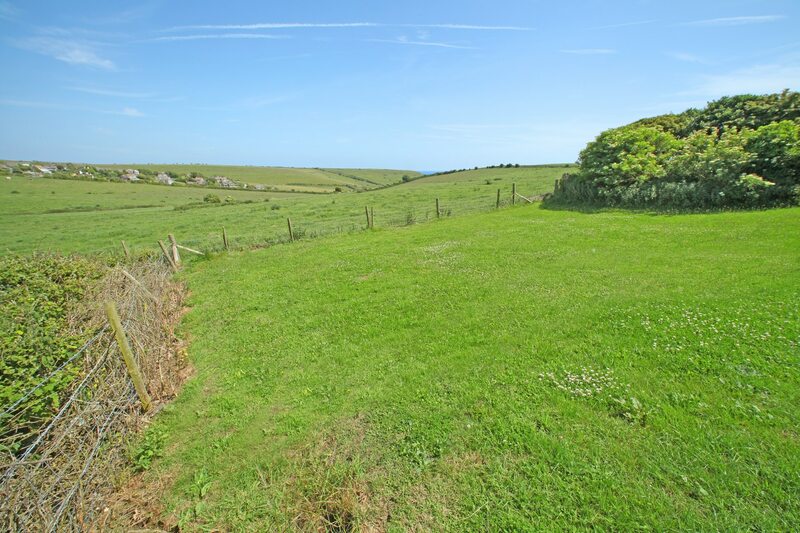 Superb, quiet location with easy access to the coast paths and secluded coves such as Chapman's Pool. Well-appointed, comfortable modern bungalow with expansive views. Would come back at the drop of a hat if weather could be guaranteed as good as June 2017. Well presented and equipped cottage in prime location. Would have been 5 star except that it would be nice to have some comfy outside chairs and the garden would benefit from some extra low level fencing to ensure security for dogs. Warm, spacious and very clean. The cleaner does a first class job. We used the king sized bed which we found very comfortable indeed- my partner has back problems and would love to take the bed home with him as it suited him so well!! We have loved seeing all the different birds and the hares. The only thing we missed in the bungalow was a clock. Thank you!!!! Everything we needed for an enjoyable holiday. Very homely,just like a second home. Many personal touches made it feel so comfortable. And of course the location and scenery were delightful. Would certainly want to come back again. Probably the best cottage I've stayed in. 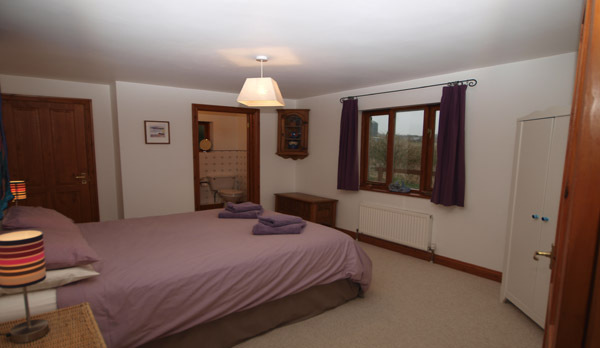 A very well equipped cottage, very clean on arrival, comfy beds and tasteful decor. Nice views across the Winspit valley (when it's not shrouded in sea fog!) 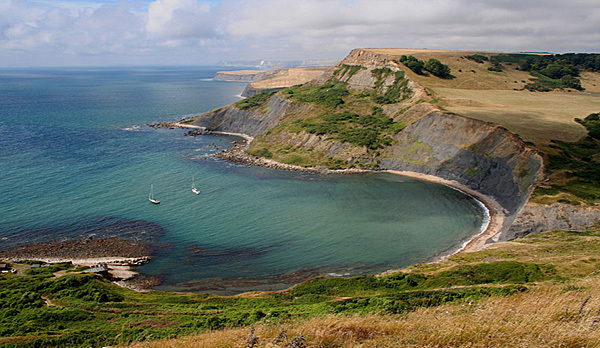 A great location for exploring Dorset and its coastline. 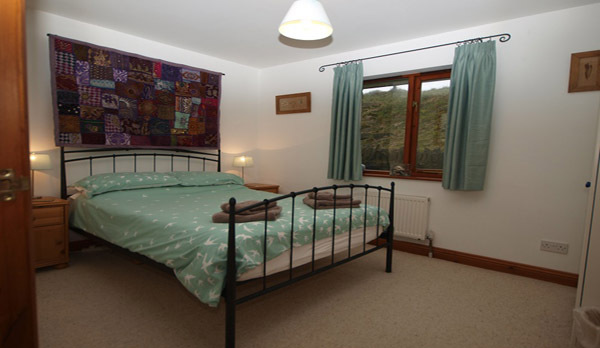 Warm comfortable holiday cottage with countryside views. Loads of excellent walks on the doorstep. Very dog friendly. Walking distance of dog friendly pub and tea rooms. The surrounding area is stunning. My family and I had an amazing time in this beautiful bungalow. The scenery around was outstanding. Everything you could possibly want for was provided in the bungalow it felt like home. None of us wanted to leave and we will all be back again next year or maybe before. All staff who we dealt with at the booking agency were very helpful and the property was probably one of the cleanest we have ever stayed in. Thank you for a lovely holiday. 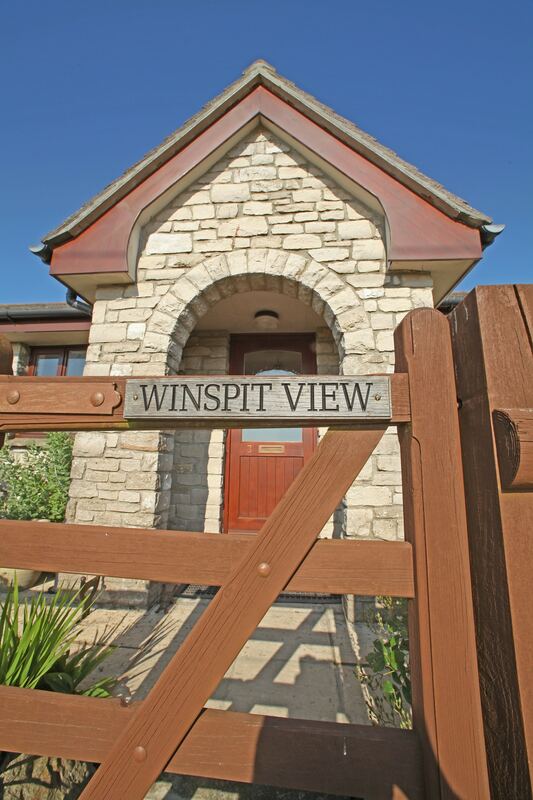 Winspit view is well equipped and was perfectly clean and well presented on our arrival. A wonderful location with many walks literally right on your door step. We will be re-booking! Excellent! Comfortable, well-equipped with fantastic views. 3 generations of us stayed at Winspit. It catered for us all. We had a great stay and found the house a wonderful base from which we could visit Dorset's beautiful coastline and attractions.We would love to return next year. We spent a week at the cottage in mid March and had glorious weather which was the icing on the cake to a thoroughly enjoyable week. Being keen walkers we did various walks direct from the house and visited the characterful local pub. We never drove more than a few minutes for all we wanted to do. Lovely peaceful situation, a spacious and comfortable house and so convenient. We would book again . The bungalow was lovely - very well equipped and comfortable. It was so much nicer not having to bring all the towels and bedding home with me, thank you for that. Also the bottle of wine and coffee/tea and biscuits were an extra lovely touch. very cute little cottage with everything you could need for a week away....lots of cows as neighbours which the kids loved...great location and never a trip to regret. Just back from a lovely holiday at Winspit View,. The children loved seeing the tractors go past and meeting the cows from the farm. Lovely to have some toys there for them too. Very relaxing countryside location and only 10 minutes by car from Swanage. We will be returning to explore the area more ! Wonderful location with walks literally on the doorstep.